The American Coal Council welcomes Mr. Robert E. Murray, our Keynote presenter at the upcoming Spring Coal Forum conference March 11-13, 2014 in Naples, Florida. Mr. Murray is the Chairman, President, and CEO of Murray Energy Corporation. Murray Energy Corporation is the largest privately held coal company in the United States. With the recent purchase of Consolidation Coal Company from CONSOL Energy, Inc., Murray Energy Corporation is ranked one of the top three largest coal producers. This transformational transaction resulted in a near-doubling of production capability to 58.6 MTPY and more than doubled Murray Energy’s workforce to 7,100 employees. 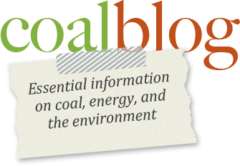 Please join us as Mr. Murray “connects the dots” for our Spring Coal Forum audience on March 12, 2014, sharing his strategic perspective and outlook on the coal industry.